Airing of the Quilts has become a huge annual festival in Tunkhannock each fall, and three key organizations are working to ensure that it will continue beyond the departure of the event’s founder this year. WNEP Channel 16 aired a news story this week that incorrectly implied that Tunkhannock’s annual Airing of the Quilts event was in jeopardy due to the closing of Endless Mountain Quiltworks, whose owner, Jeanette Kitlan started Airing of Quilts more than a decade ago. 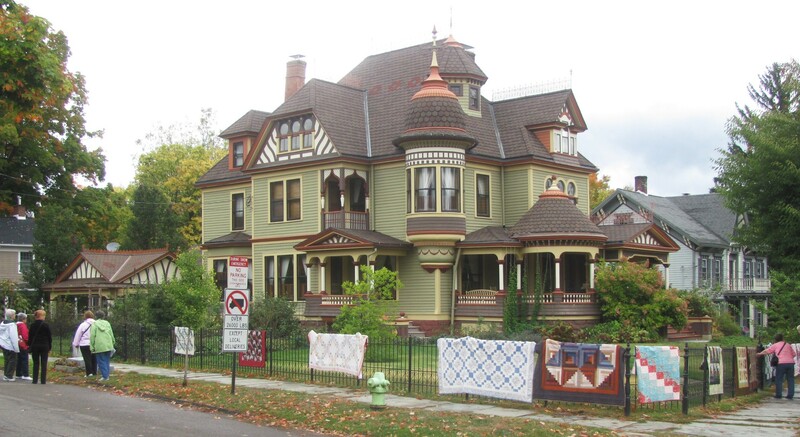 The fact is that three entities – the Tunkhannock Business & Professionals Association (TBPA), The Wyoming County Chamber of Commerce (WCCC) and The Endless Mountains Visitors Bureau (EMVB) – met prior to this year’s “Airing” and agreed to seek ways to continue Airing of the Quilts as a community event. A similar incident occurred this past September when Kitlan told local newspapers that she felt it was time for her to bring the quilting festival to a close. The reaction to her announcement that the Airing recently held would be her last was a mix of disbelief and a determination by many to prevent the event from ending. The aforementioned entities distributed a questionnaire to patrons of this year’s Airing of the Quilts, and responses indicated that there exists an overwhelming desire to keep the event on the calendar. The Wyoming County Press Examiner ran a story to that effect in the Oct. 8 edition, and it seemed that the issue had been settled. Apparently, nobody at WNEP was aware of the concerted efforts of the three organizations to save the event and reported the opposite in “Crowds Pack Closing Quilting Store in Wyoming County” on Nov. 19. Leaders of the TPBA, WCCC, and EMVB are dismayed that so many viewers were provided misinformation. By conducting just one interview and not pursuing comments from any other party, WNEP’s reporter missed the opportunity to produce a more accurate story. “We need to get the word out that it is going to continue,” said EMVB Executive Director Jean Ruhf, who admits that she was taken aback when she heard about WNEP’s report that linked the fate of the quilting event to the closing of the store. 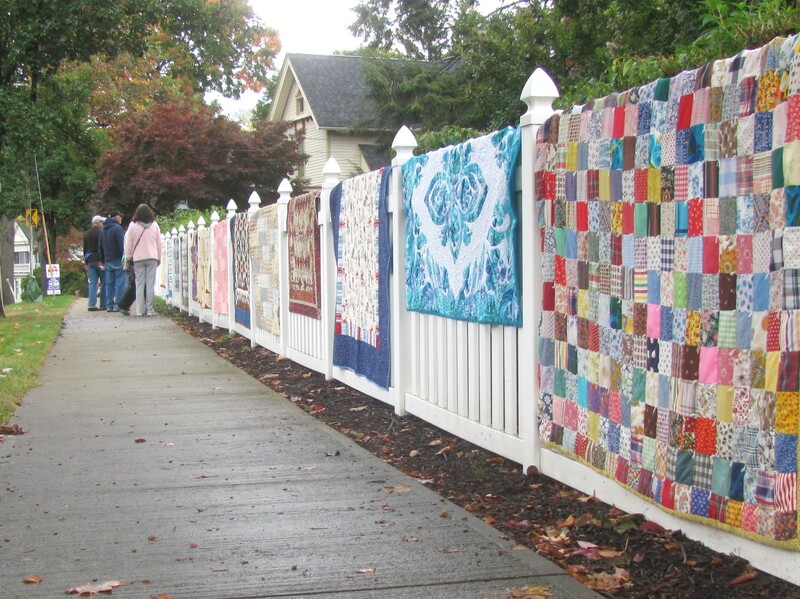 “We really do want this event to continue in our community,” said WCCC Executive Director Gina Severcool Suydam, who has participated in several meetings and discussions with area residents, groups and business owners who support the continuation of Airing of the Quilts. “There are so many other organizations coming forward and saying that they want to help,” Ruhf related. Among those are other quilting groups who might be able to assume the responsibility for various elements of the event. The Dietrich Theater and Wyoming County Cultural Center has long been one of several destination venues during Airing of the Quilts. Executive Director Erica Rogler shares the hope of many that the TBPA, WCCC, and EMVB will keep the event going. The Tunkhannock Public Library holds its big October book sale each year in conjunction with Airing of the Quilts, and organizers always make sure that there are plenty of quilting books on hand. Library Director Kristen Smith-Gary likes the way the event encourages visitors to take in as much of the town, including eateries, as is possible in a day. The library hung a half dozen quilts created by an area quilter this year, and the response impressed Smith-Gary, who noted that she met quilt fans from Florida, Colorado, Louisiana, Texas and other distant states that afternoon who had traveled to Tunkhannock specifically for the event. Suydam and Ruhf agree that many volunteers will be needed to staff venues, coordinate the collection of and hanging of the quilts, and other logistics. “If they are as eager as we are to keep this going, they need to step up,” Suydam stated. There are plans for another community meeting concerning Airing of the Quilts in January. Those who are interested in attending should call the Endless Mountains Visitors Bureau at 570-836-5431.